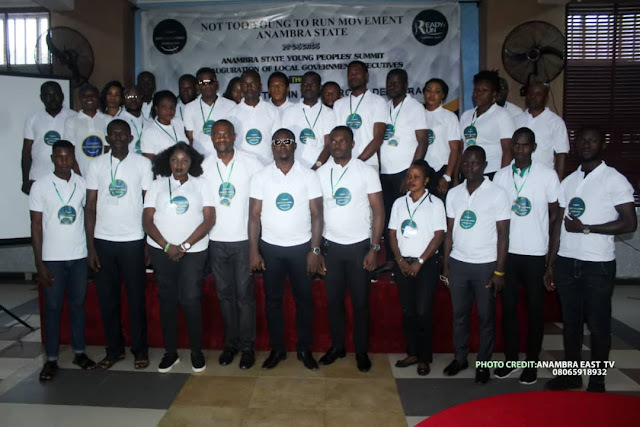 ON THE OCCASION OF THE ANAMBRA STATE YOUNG PEOPLES’ SUMMIT INAUGURATION OF LOCAL GOVERNMENT EXECUTIVES. Commissioner for Economic Planning and Budgeting, Anambra State. Comrade Innocent Ndubuanya, National Vice President of Nigeria Youth Council. President Ohaneze Ndi-igbo youth wing, Anambra State. Fellow Youths in the Movement. On behalf of NTYTR movement Anamambra state, I want to welcome all of you to this unique forum that will immensely aid the youth participation in the state.